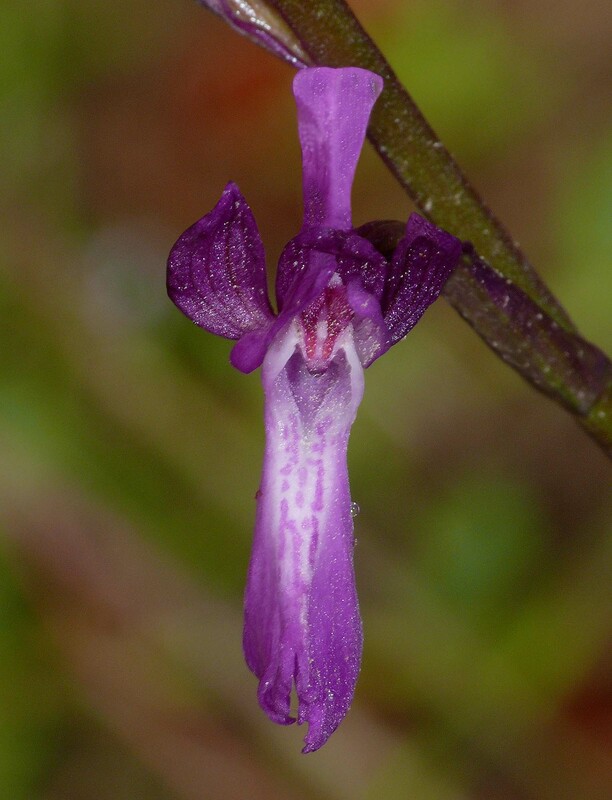 A. laxiflora was first described from a site near Paris by Lamarck as long ago as 1778. 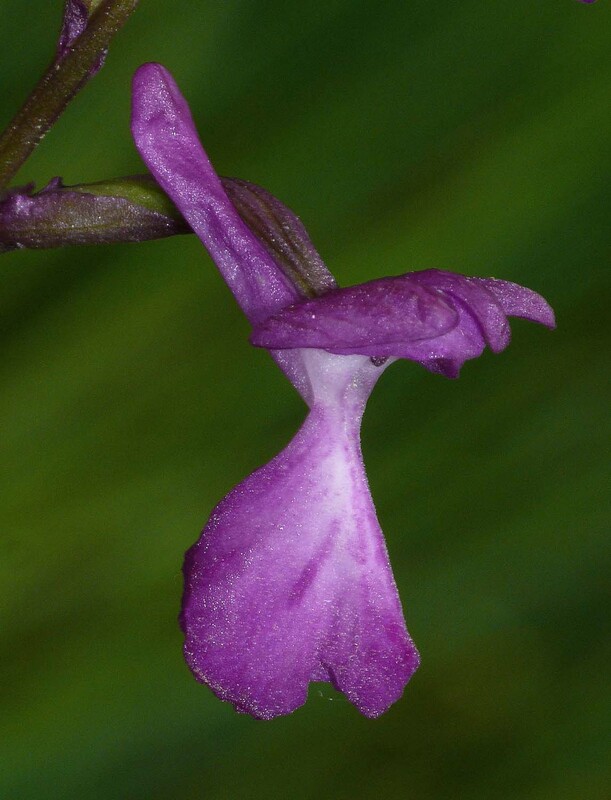 Its name refers to the lax appearance of the inflorescence though this characteristic feature can be somewhat variable between populations. 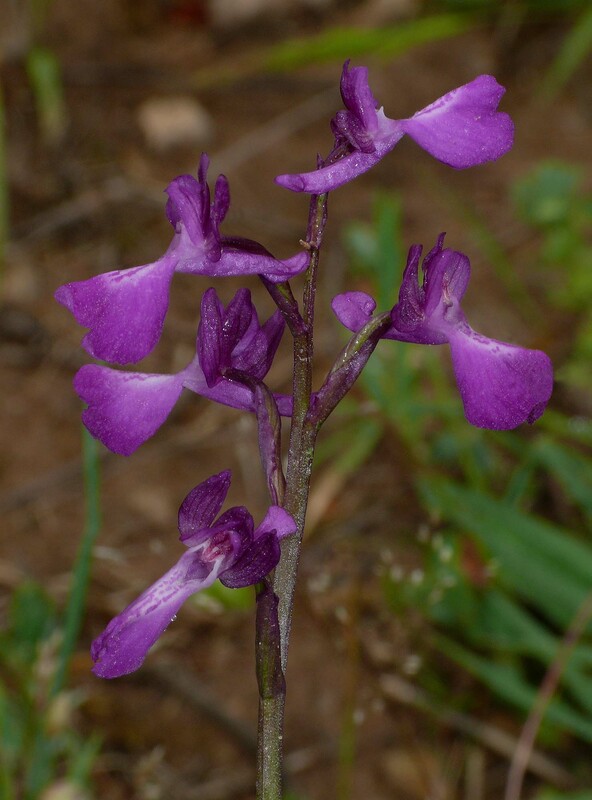 These pictures depict examples of hybridization with A. morio and the plants come from the extensive areas of wet meadow in the Bois Du Roguan, south of Vidauban in Var, southern France. 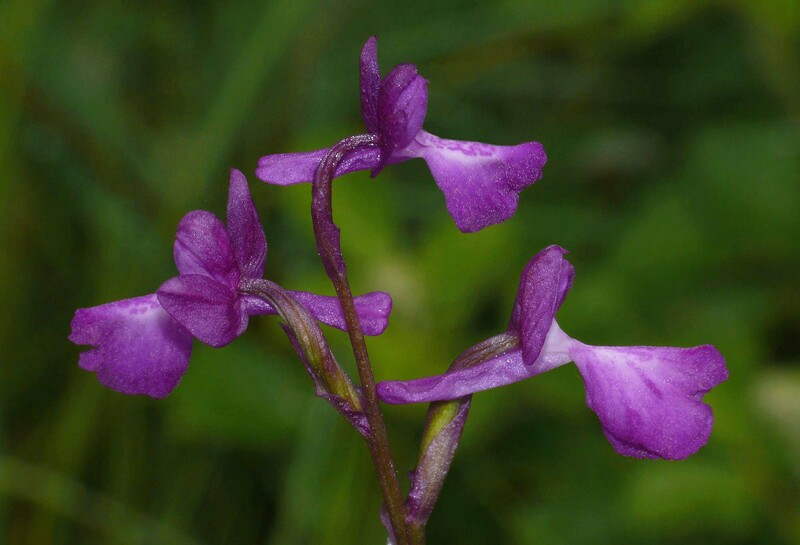 The particular field from which these pictures come, supported three Anacamptis species A. laxiflora , A. morio and A. champagneuxii. It is difficult therefore to say unequivocally that A. morio was definitely the gene donor although the lip markings would tend to support this view. It is equally true however that the extreme tightly folded lip margins could also indicate an input from A. champagneuxii ? 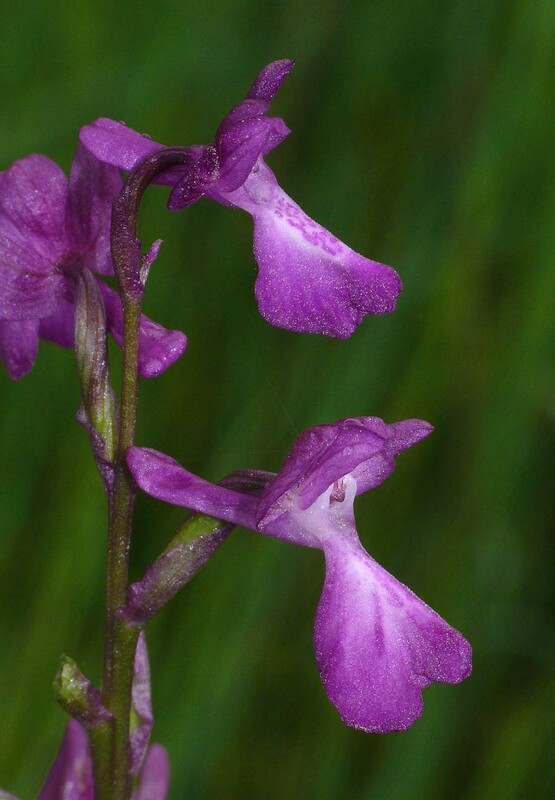 These plants were growing in distinguished company as the area also supported a colony of another orchid that relishes these damp conditions and that is the Var specialty, Serapias olbia. 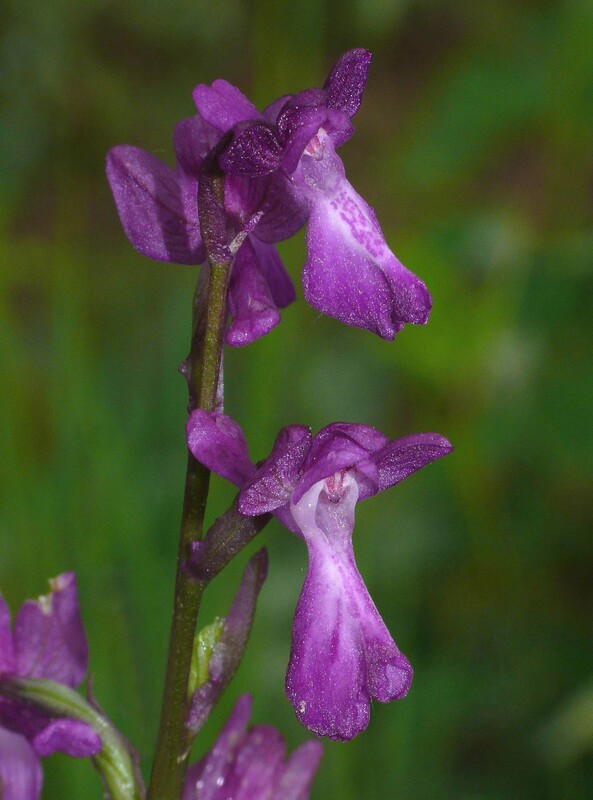 All three of these Anacamptis species, flower at similar times between April and June with the pictures here dating from the second week of May in a season when hot and dry conditions were causing many of the plants to go over prematurely.